Bob Sympson of Nassau County is a volunteer tree planting enthusiast, NYSUFC member, and member of the Region 1 ReLeaf Committee. 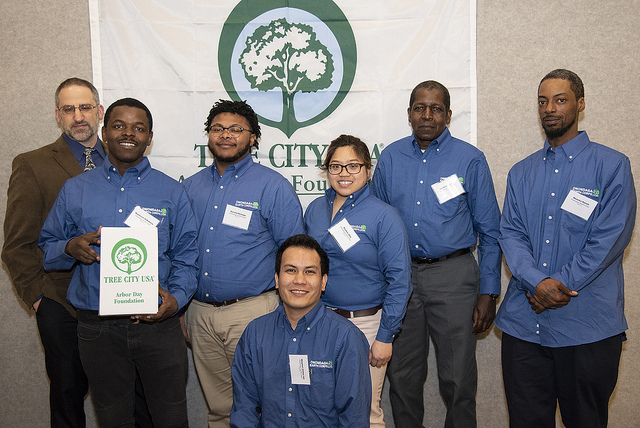 He prepared opening remarks for the County’s April 26, 2018 Arbor Day observance and tree planting, notably attended by County Executive Laura Curran. DEC Forester Jeff Brockelbank taught Ellington families proper tree planting techniques. 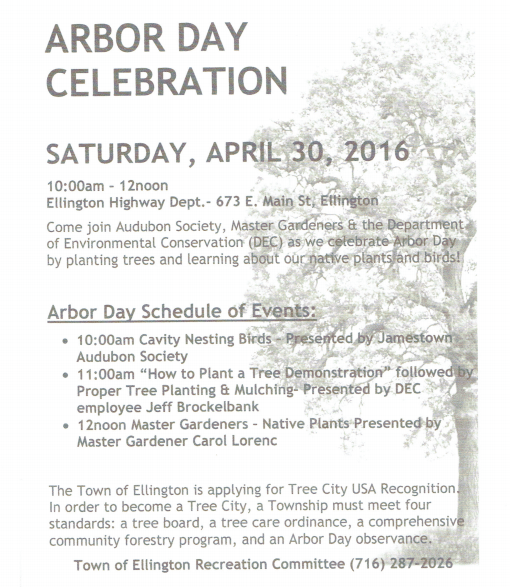 Former Town of Ellington Councilwoman Tamara Miles led the Town’s Recreation Committee efforts to secure an Arbor Day grant from the NYSUFC and to host a lively Arbor Day celebration on April 30, 2016. 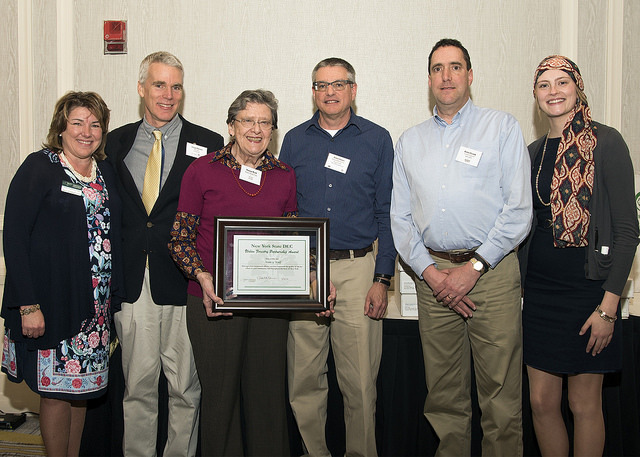 First, the Jamestown Audubon Society presented “Cavity Nesting Birds,” a talk connecting birds to native trees in the area. 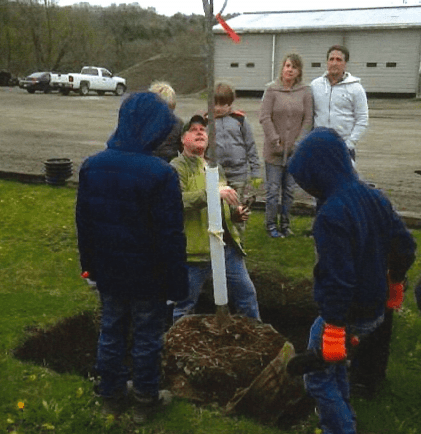 Then, DEC Forester Jeff Brockelbank led the community in a proper tree planting demo, and helped the residents plant a Kentucky coffeetree (Cladrastis kentukea) and two redbuds (Cercis canadensis). He also taught them about young tree pruning and proper mulching techniques. Master Gardener Carol Lorenc then presented on native plants and how to avoid invasive plants. All members of the Town Board were present to hand out native tree seedlings to community members.